Being a numismatist is not simple and not everyone has the patience to collect items. When it comes to collecting coins and banknotes, there are two reasons why people do this. The first is, of course, because they like it and they want to have a large collection. The other is for profit. People collect coins, then wait for some time and sell them when their value increases. Either way, if you would like to start being a Canadian silver dollar collector, here are some pieces of advice for you. How to choose what to collect? If you want to collect coins or banknotes because you like them and you prefer to have many works of art in your possession, then you can choose all of those items you find interesting. Since you do not have to worry about their value, that is, whether it will increase or not, there are no restraints for you. On the other hand, if you would like to start collecting them in order to make money, it is advisable to choose a particular area of collecting or a way to collect. If you decide to start collecting rare coins, you need to have a large or even an unlimited budget. You can, for example, buy one coin or a banknote for around $5,000 and it will bring you much more money if you sell it after several years. On the other hand, if your budget is limited and much lower, there are other options out there to collect unique and special coins that won’t break your bank. A great majority of collectors choose a particular type or series of coins to collect. Those can be, for example, Canadians dimes or quarters. They are quite affordable and easy to acquire and you could have a situation to purchase a rare coin which is not that expensive. Also, with this type of collection, it is much easier to balance quantity with quality. Another good side of this is that you will be in a position to learn more about the history of the country or the history of the world. This kind of collection can be quite fascinating. You can focus on a certain region or a country that you like, a historical period or themes on coins. This has proved to be an easy way to learn a lot about the history of the world. But, if your point of view is money, you should consider which countries can appreciate in value rapidly. The value of coins and banknotes that came from, for example, Russia, Portugal, and China have quickly increased in recent years. Some rare Chinese coins could be sold for over 50 times their initial value only after 5 years. 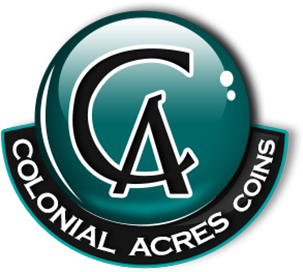 Colonial Acres Coins has a wide variety of banknotes and coins to offer. If you would like to become a numismatist, this is the right place for you. Here you can also find many rare items you have been looking for for a long period of time. They are reliable and you can be sure that your order will be processed on time and with the highest level of professionalism. Therefore, if you would like to have a certain Canadian silver dollar in your possession or a special banknote, you know where to look. Just choose a particular area of collecting and enjoy your new hobby.